Exquisite Luxury Tours of Scotland & Ireland! As a full service tour operator, we organise everything, including accommodation, dining, excursions, driving, providing the most exceptional luxury tours Scotland & Ireland have to offer. Allowing you to immerse yourself in the beauty of our countries and have the most memorable and luxurious vacation. Submit your enquiry today and we will send further details to begin planning your trip of a lifetime. Contact our team today and we will work with you to build the perfect package, tailored to your interests and loves. Une très belle expérience conduite par Ross Corcoran en personne. Nous avons bénéficié d'un séjour luxueux et sur-mesure et d'un service attentionné à chaque minute de cette découverte inédite de l'Ecosse. The trip with all these super cars in the beautiful Highlands with Lang Atholl was just unforgettable. All our customers thoroughly enjoyed this unique experience and were very enthusiastic. They still happily smile when they talk about it today. The organization was perfect, the tour magnificent, food and accommodation also great. So, I actually would love to come back. Luxury Private Tours of Scotland & Ireland ? 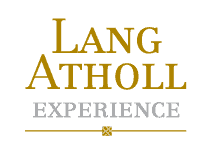 At Lang Atholl Experience we understand luxury. Taking care of everything; booking hotels, vehicles, drivers, accommodations, activities, and all special requests. This means you have the most enjoyable experience creating the holiday of a lifetime with our team. Don’t take our word for it, please read our online reviews. Our experienced staff guarantee a personable experience. Getting to know the needs and desires of our clients allows our tour designers to create to most exceptional 5 Star luxury tours of Scotland and Ireland for our guests. So whether you are looking for a self-drive or chauffeur drive experience, we cater for your specific requirements. From Golf Tours of Scotland & Ireland, Historic Clan & Heritage tours, Romantic Tours, Whisky Tours, Magnificent Drive Packages, to Gastronomic Tours. We create your dream holiday packages, tailored to your needs in order to create memories that will live forever. Our HQ is based near Edinburgh airport, boasting unparalleled staff, guides and itineraries throughout these countries. With a rich knowledge of our Celtic countries our team combines punctuality with historical, cultural and local knowledge. You can look forward to travelling in luxurious fashion and experiencing the true beauty of Scotland/Ireland. We operate a 24 hour private concierge service, so are alway on hand to assist you. Our decades of experience in the luxury sector, providing private tours of Scotland allows our clients to benefit from our in-depth knowledge and long standing partnerships with the best hotels, golf courses, distilleries and historic attractions throughout Scotland and Ireland.